BARD Mobile has arrived for our library members! NJ residents registered with The New Jersey State Library Talking Book & Braille Center (TBBC) can now enjoy downloaded audiobooks, audio magazines and Braille files on Apple (with iOS 4.3 and higher), Android (with Android 4.1 and higher) and 2nd generation Kindle Fire devices! You must be registered with TBBC and you must have an account with the Braille and Audio Reading Download site (BARD). 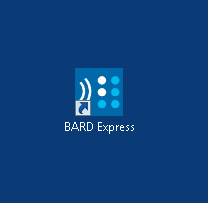 You can now enjoy your (BARD) audiobooks, audio magazines and Braille files on the go. Have questions about BARD Mobile? The National Library Service for the Blind and Physically Handicapped (NLS) provides audio-described video tutorials. An online BARD Mobile user guide is available. Have questions about the accessibility features on your mobile device? Visit Apple’s accessibility web page. The Hadley School for the Blind offers online Apple iOS training videos. Android accessibility videos from The Hadley School for the Blind. You must be a member of our library and registered for BARD before you can use the BARD Mobile app. Download application to apply for our services. If you are already a TBBC member, apply for BARD access. BARD Mobile will not operate on a laptop or desktop computer. Once the app is downloaded to your Apple, Android or Kindle Fire device, you will log in with your BARD username and password.